Every wondered how to practice meditation properly? Sure, you’ve probably heard bits and pieces about focusing on your breathe or focusing on different parts of your body, but according the Dalai Lama, this isn’t what real meditation is. In the Art of Happiness: A Handbook for Living, the Dalai Lama says that meditation is about seeing your “natural state of your consciousness”. He says that the number one key is all about observing the mind. How do our actually practice bringing your natural state to your awareness? While this is great advice from the Dalai Lama, it can be tough to implement practically. I know this because I struggled with meditation in my early days even though I knew what the Dalai Lama was talking about intellectually. However, when I learned a practice called “gazing meditation”, the process became much easier and I was eventually able to implement what the Dalai Lama was talking about. Gazing is an ancient meditation technique. It can be done as a stand alone meditation practice or when you need to settle down. While meditation is usually done with the eyes closed, this meditation is done with the eyes open, softly and gently directed toward an external object such as a flower, candle flame or a beautiful scene. This practice can be extremely calming for the mind and is an excellent way to enhance your concentration. Here’s how to practice gazing meditation, according to the mindfulness experts at Ornish. Keep in mind that you don’t have to use a candle, it can also be any object that you find uplifting. 1) Find a comfortable steady seated pose either in a chair or on the floor. 3) Settle into your seated pose as you take several conscious, slow, deep breaths. 4) Let the eyes soften and relax as you gaze upon the candle flame. Notice any sensations you feel. Let your attention rest there for as long as feels comfortable. 5) When the eyes grow tired, gently close them and bring the image of the candle flame behind the eyes or to the point between the eyebrows. 7) Continue the practice of gazing at the flame and then closing the eyes and holding the image behind the eyes (or the point between the eyebrows). 8) At some point you may not want to open the eyes to the external flame. At that point feel free to rest inside of yourself with the image. You may instead find that keeping the eyes fixed on the flame with out closing them is more helpful for you. You may even notice that this practice serves as a foundation for moving inward with other practices of breathing and meditation. 9) Observe how you feel. Let the practice be fluid. If it helps you in calming the mind then adopt it as your own. Play with it and find a way to use it in your own life. I’m Lachlan Brown, the founder, and editor of Hack Spirit. 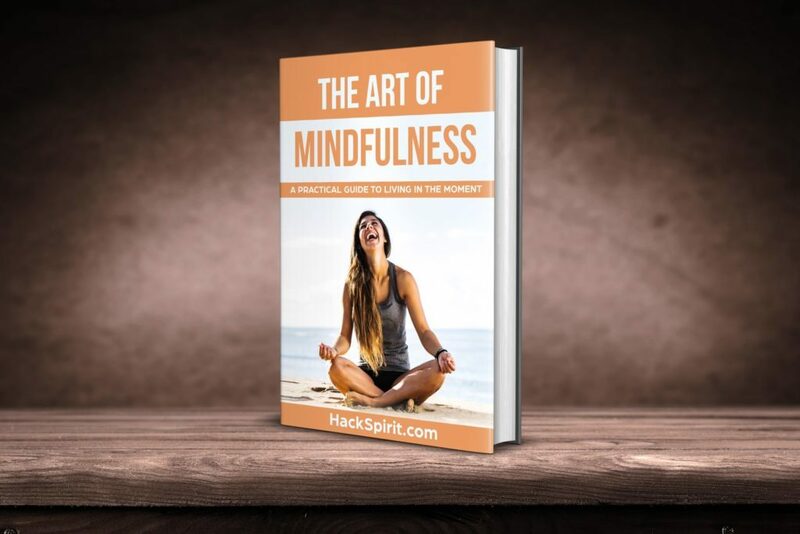 I love writing practical articles that help others live a mindful and better life. I have a graduate degree in Psychology and I’ve spent the last 6 years reading and studying all I can about human psychology and practical ways to hack our mindsets. If you to want to get in touch with me, hit me up on Twitter or Facebook.